Despite today's frigid temperatures, the warming sun is working its magic on the icicles visible through my office's picture window. Rather than a static flower photo today, therefore, I've opted for something playful, in keeping with our hopes for spring and winter's struggle to hang on. It won't be long now. 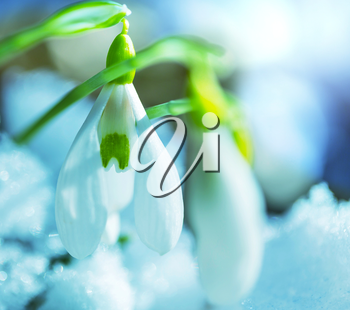 Today's Floral Friday photo is a promise of spring — a lovely picture of snowdrops. Today's photo is a beautiful red rose just for you. It is Valentine's Day after all. It only takes one to put a smile on her face. 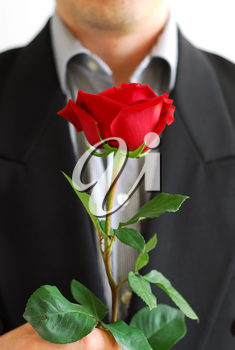 As we head into the final week before Valentine's Day, our Floral Friday photo features a man giving a beautiful red rose to a woman.